My blog posts have been far and few in between, however, that does not mean I’ve been slacking. Oh no, I have been keenly aware that Christmas is approaching faster than I can eat chocolate the speed of light. 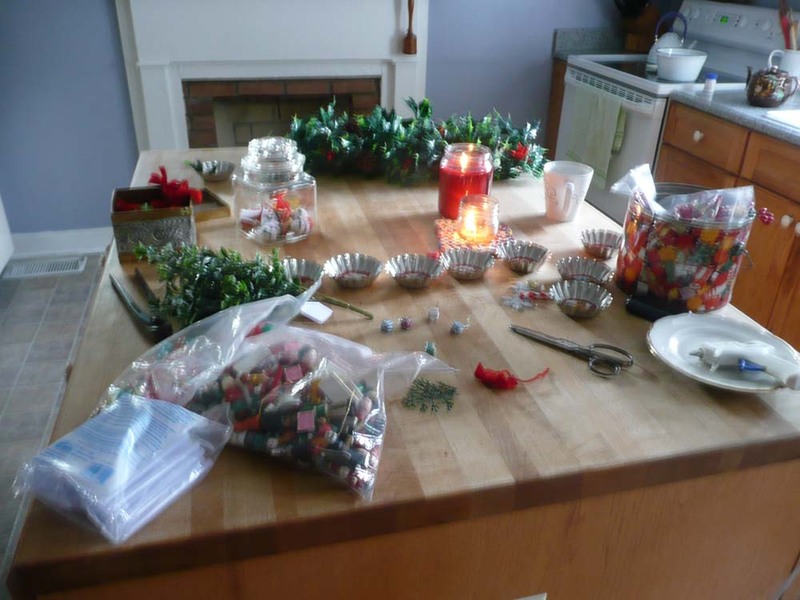 That means I’ve got to make, make and make some more Christmas items for my upcoming shows. This is what our kitchen looked like last Thursday. Explosion of vintage Christmas items. 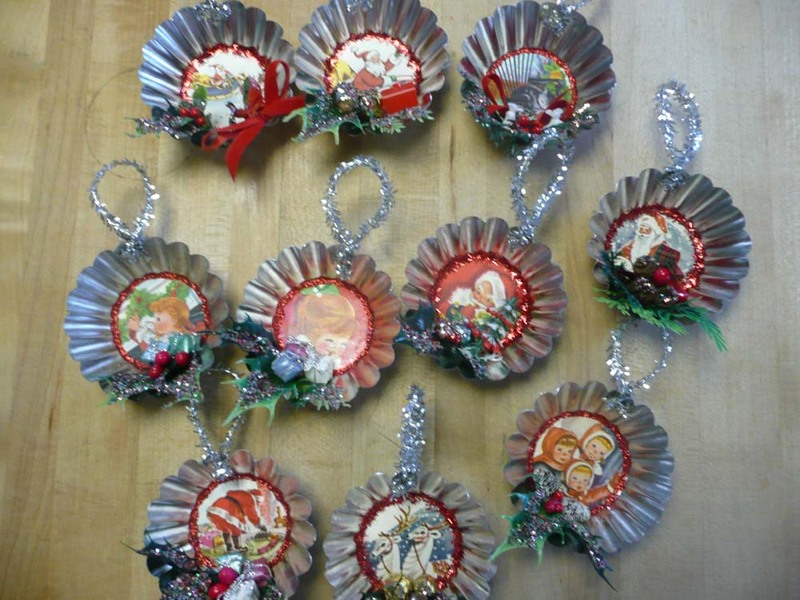 I was working on these tart tin ornaments. They were a pain fun to make with all the tiny bits and bobs involved! Cutie retro tart tin Christmas ornaments. 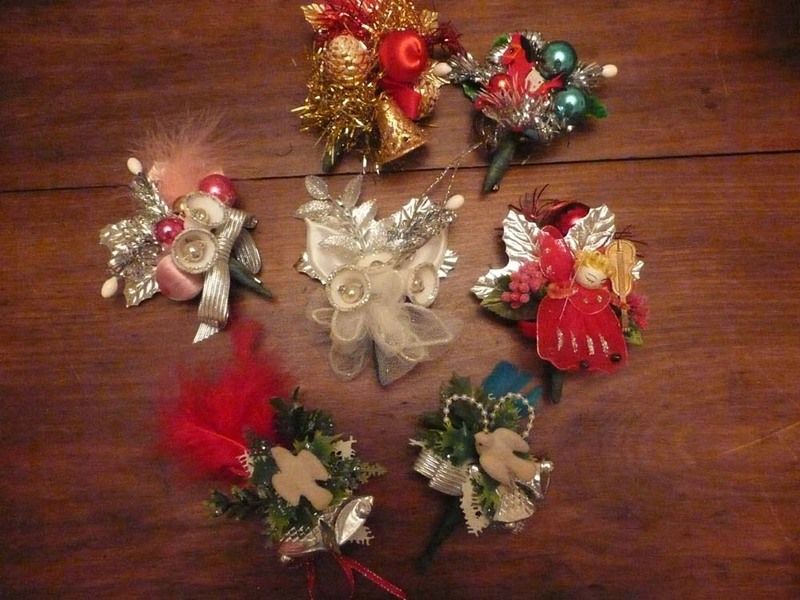 Then I made these vintage style Christmas corsages. I think these are so cute. They are like the ones your grandmother wore and you thought were tacky. And these things are just the tip of the iceberg. I have a bunch of other things I need to make as well as finish making embellishments for a swap I’m doing with a friend. Please excuse my lack of posts, but know that I will try to keep you up-dated on all the Christmas goodness I am making!